Though Nicky Wu started off as a member of The Little Tigers band and has been involved with the soundtracks of many of his projects, his last solo album release was in 2003, which was basically an EP collection of a few drama theme songs. Now, thirteen years later, he is preparing for the release of Journey (旅程), which will include his duet with wife Liu Shishi. Scheduled for release this month, Journey will be Nicky’s 16th solo album (17th if you include the aforementioned EP). Recording for the album had actually already been completed more than a year ago, but because Nicky and Shishi’s wedding ceremony was delayed until this past March, the album’s release was also pushed back to April. So far, I have yet to see an official confirmation of Journey‘s tracklist, but it’s a sure bet it will include “Hand in Hand” (手牵手), the song that Nicky and Shishi recorded together to celebrate their marriage. The song’s MV was recently released, and as expected, it features a lot of hand-holding, along with a dose of smooching at the end. We’ll use these photoshoots to erase Bu Bu Jing Qing from our memories. After registering their marriage last year, mainland Chinese actress Liu Shishi and Taiwanese actor Nicky Wu will hold their wedding ceremony this Sunday, March 20, on the beautiful island of Bali. The happy couple already released one set of beautiful wedding pictures to make us jealous, but here they come with some more stunning photos, as well as the promise of a music video for “Hand in Hand” (手牵手), the duet they recorded to celebrate their marriage. 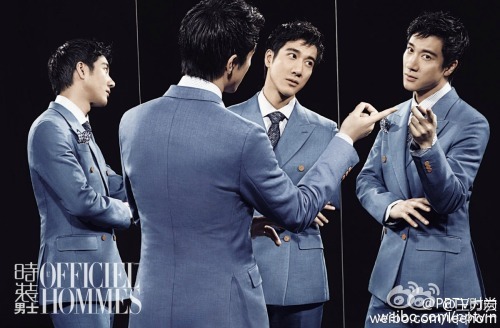 Actors Liu Shishi and Nicky Wu in a cute photoshoot for Marie Claire. This is probably one of Liu Shishi’s best photoshoots yet. She stars in the currently-airing The Imperial Doctress opposite Wallace Huo. 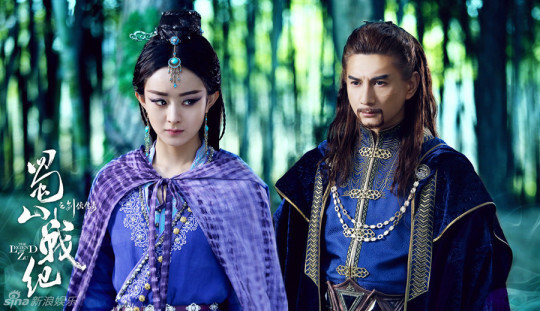 The Legend of Zu, produced and starring Nicky Wu, has released a trailer. Starring William Chan and Zhao Liyin in her second yet-to-be-released melodrama (certifiable simply by watching the trailer)… with her playing an immortal in an un-health relationship. We can probably just conclude by saying things are complicated. I know your character description says lonely star, but you really didn’t need all the glitter to make that point. 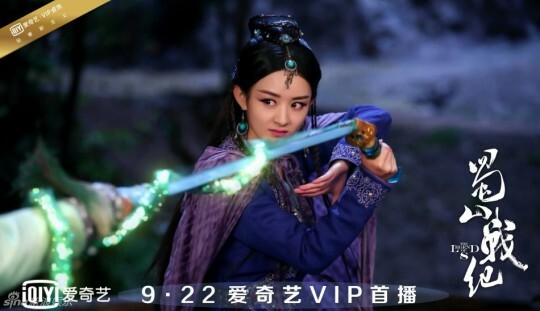 Zhao Liying and William Chan make a surprising pair in William Chan’s first major lead role since his meteoric rise thanks to Ancient Sword. The Legend of Zu 蜀山战记之剑侠传奇 is produced and co-stars Nicky Wu, who had previously starred in Hark Tsui’s film adaptation of the same book. I can’t handle the photoshopped in lights, but at least both leads are pretty. Is this an overdue Photoshoot Friday? …Yes. 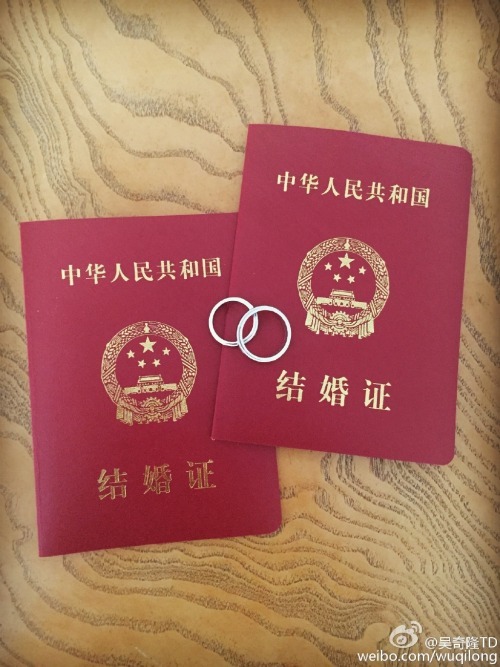 Nicky Wu and Liu Shishi officially registered their marriage on January 20. Nicky reportedly did not tell anyone in his company about his marriage plans, so his employees all found out through Weibo. Which is pretty fitting, seeing as he’s fairly active on Weibo and has a large fanbase there. Nicky and Shishi first gained popularity as an on-screen couple when they collaborated on the time-traveling drama Bu Bu Jing Xin in 2011. Since then, they have been in two other dramas together. They first went public with their relationship in November 2013. Will the Longshi fanservice in Incisive Great Teacher cover up the bitter aftertaste left from Bu Bu Jing Qing? If you’re like me, you’re totally bummed out at missing the first broadcast of Incisive Great Teacher (犀利仁师), which aired on a city-wide channel last month and saw all of its YouTube episode uploads wiped out within the past week. 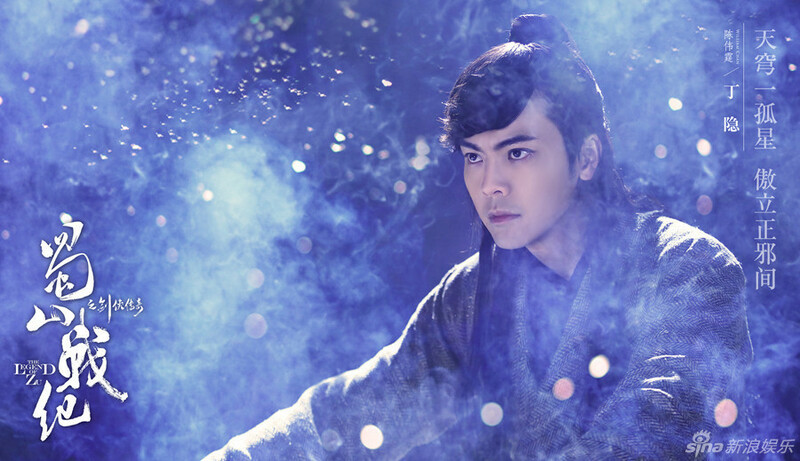 Luckily, Dragon TV has picked the drama up for a satellite airing, which will begin on June 4. Recently, Incisive Great Teacher unveiled some new montage posters showcasing leads (and real-life couple) Nicky Wu and Liu Shishi, along with supporting cast members Huo Zhengyan, Ye Zuxin, Gui Gui, and Yue Yueli. Interestingly, on the posters, these six characters are introduced in both Chinese and English, though the font is so tiny that it’s probably more for artistic effect than for practical purposes. Dragon TV will broadcast three episodes of Incisive Great Teacher every weekday, with Saturdays and Sundays getting two episodes apiece. More posters behind the cut, including an angsty love triangle!